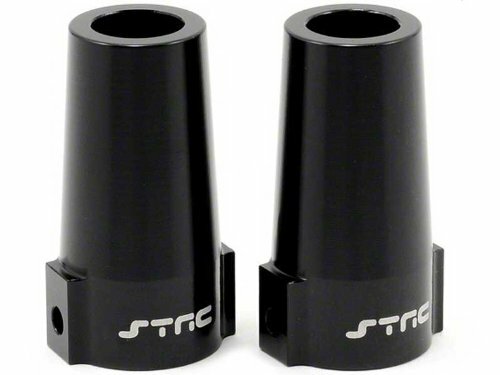 Home › Toys › St Racing Concepts Sta80071Bk Aluminum Rear Lock-Outs For The Axial Wraith Bl..
St Racing Concepts Sta80071Bk Aluminum Rear Lock-Outs For The Axial Wraith Bl..
ST Racing CNC machined black aluminum rear lock outs for Axial Wraith. Therear lock-outs add great looks to your Axial Wraith and it's much strongerthan the kit plastic lock-outs. This is a key upgrade if you put in a largermore powerful motor in your Wraith. From the Manufacturer The rear lock-outs add great looks to your Axial Wraith and it's much strongerthan the kit plastic lock-outs. This is a key upgrade if you put in a largermore powerful motor in your Wraith.